It is very rare of someone to not like celebrating birthdays. No matter how old you get, birthdays always feel special. They celebrate the year gone by and welcome another new one. While celebrating with friends is fun, it is also costly at the same time. The first and foremost thing that will bother you each birthday is the venue. Nobody likes to be invited at the same place each year. And choosing a venue involves a lot of precision. Venue also is the most important aspect of the invitation. If the venue is good, everyone wants to be a part of the celebrations. Here is how to choose the venue for a birthday celebration. First and foremost, you should decide on the number of guests that you are planning to invite if you want a frustration-free celebration. Certain venues may seem great at a first glimpse, but if it is going to be very small for the number of people that you are inviting, you probably will end up rushing for more chairs and tables at the last minute. On the other hand, if you are going to get a super big venue, your party may look empty and you obviously will end up paying for more space which you aren’t going to utilize. Not all of the venues can convey the proper atmosphere that you want. It is important to check what kind of an ambiance the prospective venues convey so that you can scratch out all the unfitting ones. Say, for an example, you’re planning a very formal birthday party with only a few of your close friends. 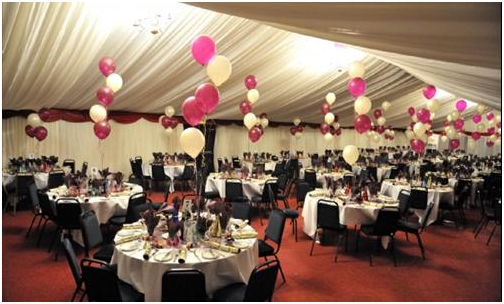 So you obviously want a venue which is small and intimate, any place that extrudes style and class. In this case, you may choose among restaurants or cafes in Delhi for birthday. But, if you want to organize a birthday party for the kids, you want a family-friendly place, which can accommodate the children and adults alike. So, you can rent a house, or an outdoor camp or some nice resort since these places will offer room for the kids to run around and have fun. Consider where your invitees will be travelling from and also the location of the venue. Even the people who have committed to attending your party might find themselves unable to be there if the location is far away and if it is simply not worth the hassle. You either can restrict the options to nearby venues, or maybe arrange an alternative way for travelling for the guests. The former seems a better option through. Obviously, the place should offer basic facilities like the AC in summers, swimming pool for kids, good food, good music, washrooms, etc. Otherwise nobody would want to attend the party. In case you are finding it difficult to choose a venue for your birthday, take help of Google or even better ask your friends who throw parties often. They can help you better.